Beer giant, Nigerian Breweries Plc has restated its commitment to its business partners. This was clearly demonstrated at the 2015 ‘Distributors Award Night’ held at Eko Hotel & Suites, Victoria Island, Lagos, to acknowledge and reward distributors who excelled in 2014. The company gave out over 150 awards in various categories which include: National Volume Champion and Regional Volume Champions; Regional Volume Champions who attained minimum of two million cases; Regional Volume Champions who attained less than two million cases; District Champions who achieved minimum of two million cases; District Champions who achieved two million cases; District Champions who achieved one million cases, Millionaire Club (SKDs who achieved above one million cases), CFAO Award for non-alcoholic, Brand Champions in all brands, Isuzu Award and Key Transporters Award, among others. Other prizes won included Mitsubishi L300 Double Cabin; Toyota Hilux 4 x 4 including 14 Pirelli tyres; Sound proof generating sets; cash rewards and several free crates of Nigerian Breweries products. The Best Distributor Award went to Ifeoma Chukwuka Nigerian Limited, for selling the highest number of Nigerian Breweries products. 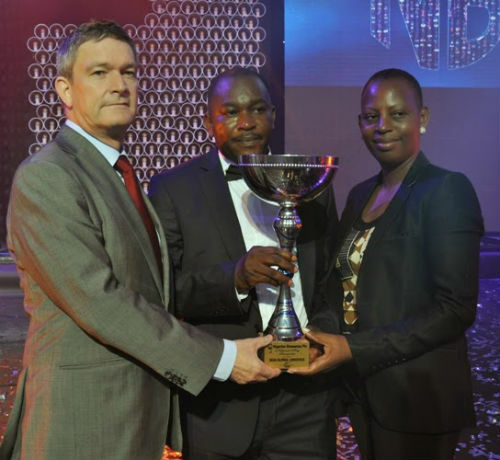 The company also emerged the ‘Best Distributor’ two years in a row, having won the same award last year in the National Champions Award category. The company also emerged as the number one volume distributor of Heineken products in Africa by selling four million cases. Ken Maduakor Nigeria Ltd was the first runner-up, while Magulf Global Enterprises Nigeria Ltd came in second. For their commendable performances and efforts, Ifeoma Chukwuka was given a trophy and a new Mercedes Diesel truck to further enhance her business. 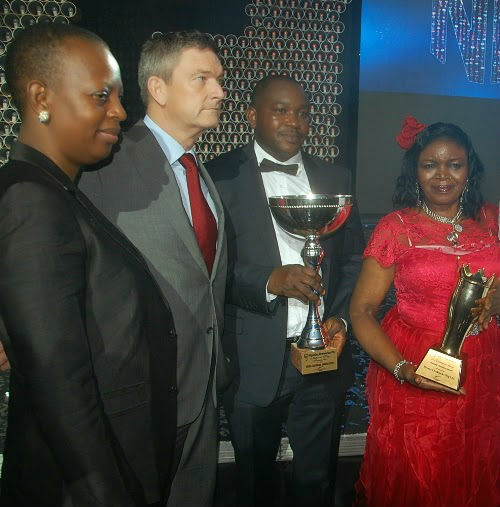 Ken Maduakor and Magulf Enterprises were awarded trophies and a Mitsubishi Cantor truck each. Speaking at the event, Sales Director of Nigerian Breweries, Mr. Hubert Eze, affirmed that partnership with key distributors and transporters is a major factor in the company’s success story, which has also contributed to growth in sales volume. He added that the merger with Consolidated Breweries Limited had further strengthened the company’s business. Mr. Eze motivated the distributors to continue to stock and sell NB products as the company continues to expand its portfolio with products consumers crave. 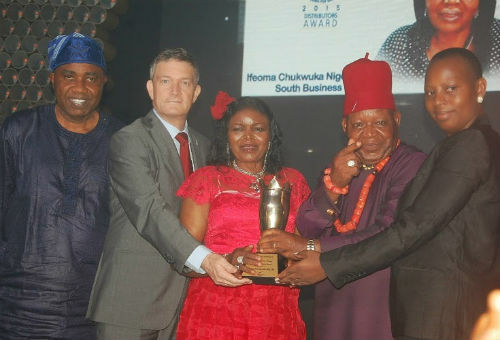 At the extraordinary event, the Managing Director of Ifeoma Chukwuka Nigeria Limited, Dame Joy Igwe, who won seven awards for the night, including the “Best Distributor Award,” revealed the secret to her sales success: “I feel so happy to have won seven awards, especially the National award. Focus and determination is the secret. For us winning is a lifestyle and we will continue to work hard. I will also like to commend Nigerian Breweries Plc for their support and encouragement always. To liven up the evening, celebrated singing sensation, Tuface Idibia and legendary Juju musician, King Sunny Ade gave impressive performances to the distinguished guests at the elaborate event. Nigerian Breweries Plc, the pioneer and largest brewing company in Nigeria was incorporated in 1946 and recorded a landmark when the first bottle of Star Lager rolled off the bottling lines in its Lagos Brewery in June 1949.